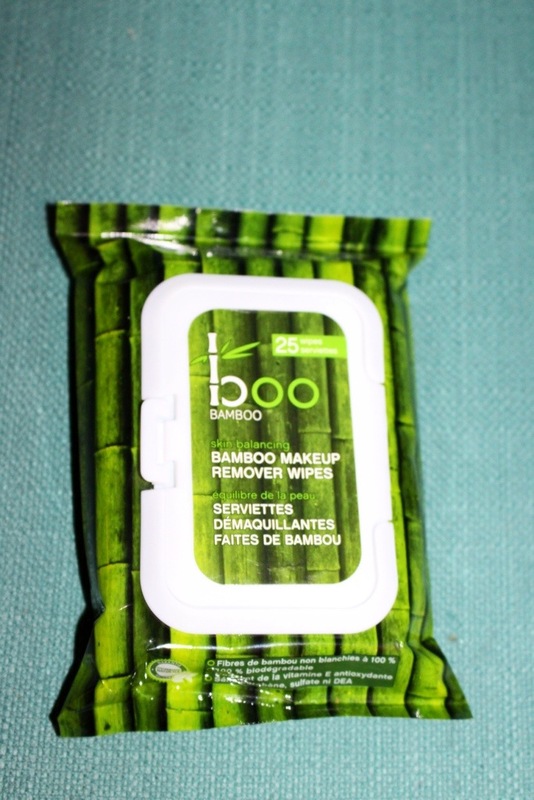 Again, always looking for travel options, I was lucky enough to win a full sized package of Boo Bamboo’s Facial Cleansing Towels to try out as well as their Exfoliating Body Wash. One was a hit, the other a miss. I think everyone knows that cleansing towels are kind of a no-no in general for actually getting your face clean and removing all the makeup. Plus, they’re just really bad for the environment because of the amount of waste. This company has tried to combat this by using bamboo fibres for the cloths, making them sustainable to create and compostable for when you’re done with them. As a makeup remover, they aren’t awesome and do take a bit of scrubbing to get off all of the mascara, but as a refresher on a hot day, or after a long airplane ride these will do nicely. My boyfriend and I are going on a two week trip to France and Ireland in a few days and these will be in my carry-on bag for sure! The ingredients aren’t the cleanest, but they are much better than any drug store brand. 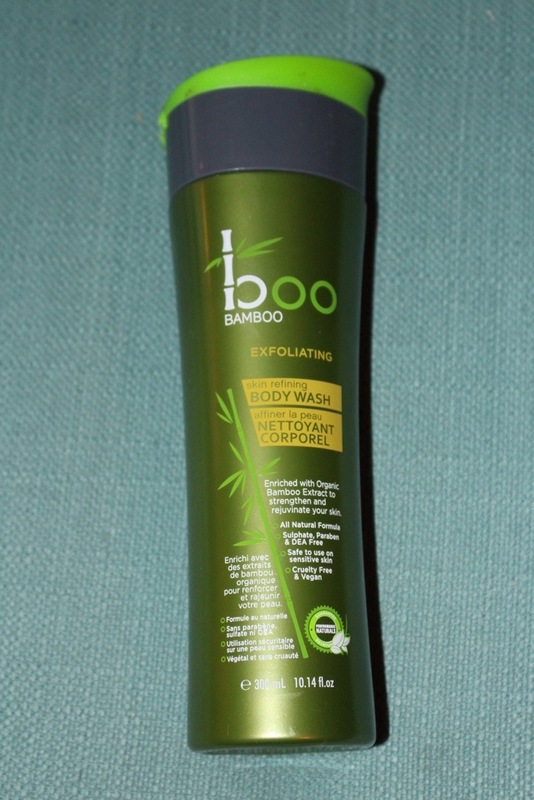 The formula of Boo Bamboo’s body wash is truly lovely; it’s silky soft with just the right amount of bamboo exfoliating beads. It forms a creamy, rich lather in the shower, and does a great job of buffing away dry spots and evening out skin tone on my legs and arms. Sounds good so far, right? The scent is where I jump off the band wagon on this one. I don’t know if it was just the bottle I received, but it smelled like the body wash had turned. The rotting fruit smell was almost too much to take as I gave this product a try. When I’m at the store next I will pop over to the natural section and give a new one of these a sniff, but if it smells this rank I’m out. I wonder what the shelf life is on this product? Ingredients:Water/Aqua/Eau, Sodium Lauryl Glucose Carboxylate, Lauryl Glucoside, Cocamidopropyl, Hydroxysultaine, Acrylates Copolymer, Guar Hydroxypropyltrimonium Chloride, Stearyl Citrate, Natural Fragrance (Parfume), Glycerin, Panthenol, Hydrolyzed Soy Protein, Hydrolyzed Oats, Bamboo (Bambusa Arundinacea) Extract, Bambusa Arundinacea Stem Extract, Moringa Pterygosperma Seed Extract, Prunus Armeniaca (Apricot), Seed Powder, Gluconolactone, Sodium Benzoate, Sodium Hydroxide. My body wash definitely did not smell like that, so it does sound like you got a bad bottle 😦 I’m glad the wipes and moisturizer were hits anyways! Thank you so much for the nomination! I’ve checked out your blog and I hope to get to answering your questions as soon as possible. Thanks again!